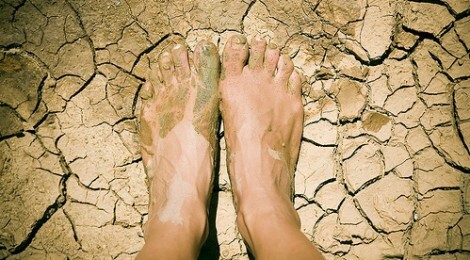 This post is for anyone with arms tired, feet in the mud. My first session with clients includes some pretty basic, standard protocol. I let them know that the first session is a chance to get a feel for me as a therapist. So much goes into therapy beyond training and theoretical orientation. Personality and style plays a significant role when choosing the person who will walk with you through your story, stand beside you as you evaluate your life, and, hopefully, ask you good…sometimes hard…questions. I also tell them something that often makes them somewhat balk. They don’t think they will ever get upset with me. Maybe they won’t. As a therapist, if I want to be effective at this work, I have to be ready…and willing to sit with them through it…if they do. I have been doing this thing every morning where I read a bible story to my children as they eat breakfast. It is really kind of a funny sight. Our table is right next to my youngest daughter’s room and she is usually still asleep at 6:45 when we eat breakfast on school mornings. So, I am constantly “shushing” my three oldest children. Then, they usually “shush” each other…which is louder than any talking they could ever do…and sometimes my toddler wakes up. Like I said…pretty humorous. So, I sit there and kind of whisper out these short stories and show them the single picture that accompanies each one. Most mornings I am pretty sure it is ME that gets the most out of what I am reading. These stories are like the bones of my faith…holding it upright and keeping me together. I am pretty much desperate for their strength and I think that is why I read them to my children. I cannot imagine my world without them. This morning I am reading about Joshua and the Hebrew people crossing the Jordan. In the picture Joshua is in the forefront and he is pointing the people onward across the riverbed that is open for them as the waters rise up on either side. I am looking at Joshua when I seem them. I see four figures behind him. I can tell from their garb that they are the priests and I see that they are holding up the ark and that’s when I remember. I remember that part of the story. I am looking at that picture of the priests and I almost start weeping. How tired their arms must have been. Until all the people had completely crossed. I am imagining the water spraying in their eyes as it is drawn up on either side of the path. I know it describes the ground as “dry” in the text, but I am thinking about it being “dry” in comparison to it being flooded by the waters so, surely, the ground was still muddy from where the water had been. I am imagining those priests. Arms tired, feet in the mud. Until all the people had passed. Leaders…pastors, teachers, therapists, mentors…one of your greatest tasks is tolerating and sitting with people in their pain…however that looks. Sometimes He asks us to do that…arms tired, feed in the mud…tears spraying on our faces…until they have passed through to the other side. I am looking at those priests and I am thinking about people I know who are carrying a lot…carrying that ark of His presence right now…for various people, for families, for communities. It isn’t fair that their pain sometimes lands on us or that our arms get tired, our feet in the mud. It isn’t fair…but it IS holy. This post is for anyone with arms tired, feet in the mud…tears spraying on your face. I am praying for holy strength, gracious endurance. Until all the people have passed. Thank you. Sometimes in ministry it is so lonely and tiring. Thank you for the reminder of why we do it and thank you for the prayers. Angela, thank you for reading and for posting. I value that connection so much. We need it. I will be praying. We can pray for each other! Ben, thanks so much for taking time to read and comment with such encouraging words. As a fellow therapist I KNOW you can relate! I hope all is well in Cleveland! Susan, what a tremendous job…caring for aging parents. It is isolating as well as emotionally, physically, and relationally draining. So sorry you have to face this AND praying for strong arms and steady feet…and some rest and relief along the way.